When you own a business, having a professional you can count on for your commercial plumbing needs is essential. The repairs and maintenance that you need to keep your business operating are very different from the type you are needed for a home; if something goes wrong with your business plumbing it can have an immediate impact and very real impact on your bottom line. We understand how important it is to have somebody you can count on, and we’re here to take care of all of your commercial plumbing needs. Many businesses require specialized systems for their operations, and even those that don’t have industry-specific needs still require a system that can stand up to the demands of a commercial operation. You need somebody who has the knowledge and experience to be able to install a system that will address the particular needs of your business, can keep it operating efficiently, and who can repair it quickly if something goes wrong. You also need somebody who can look at your needs long term and make sure that you have the right equipment for now and for the future. We have been helping businesses of all kinds operate effectively for years, and we can help you with your system as well. You have enough to worry about and take care of to keep your business operating smoothly and keep your clients happy – you shouldn’t have to worry about your commercial plumbing also. Using us for all of business plumbing needs lets you rest assured that you are working with a skilled professional who understands your system and how important it is that you are able to keep operating with minimal disruptions. When you are working with us us you know that we will be able to quickly assess your problem, come up with the right solution and get it taken care of so you can get back to running your business. Every type of business has different plumbing needs. Whether you are a restaurant or a real estate office, a car wash or a dry cleaner, we are familiar with the commercial plumbing system that keeps your business operating. Keeping your plumbing system running is what we do best so that you can concentrate on what you do best. 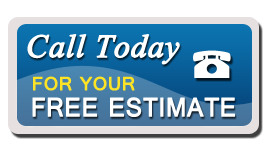 Call us for help with every plumbing need.